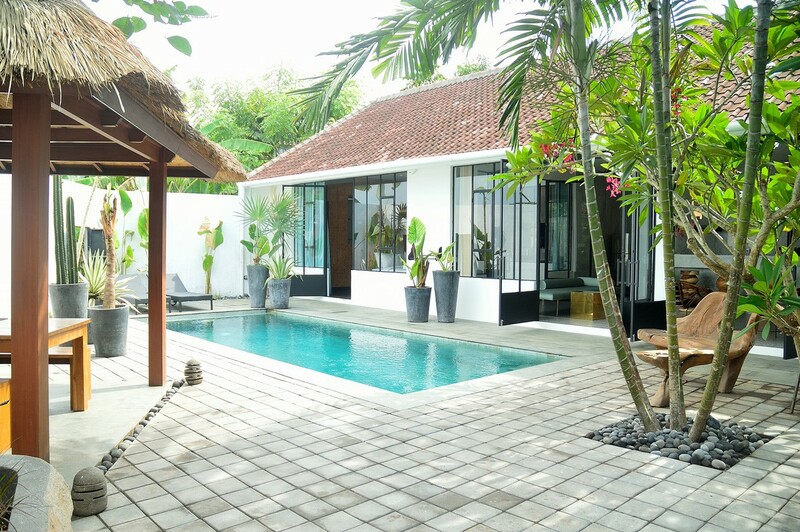 Welcome in this magnificient one bedroom villa, totally redesign in a traditionnal and modern way at the same time. 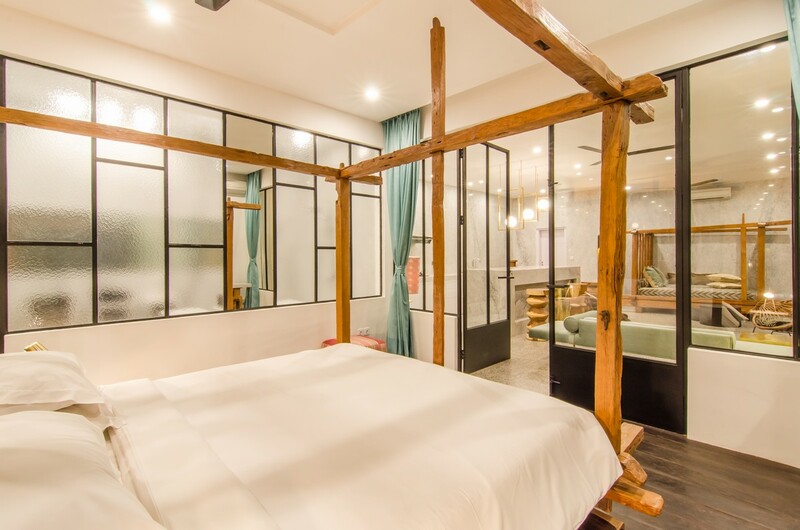 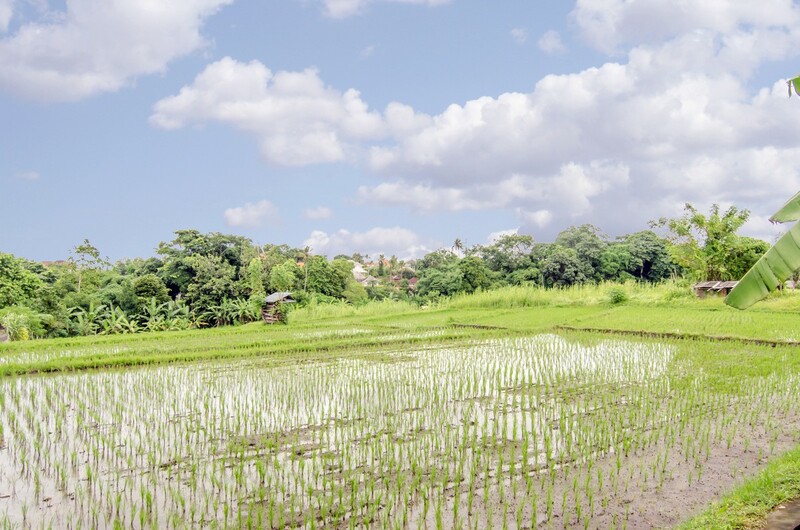 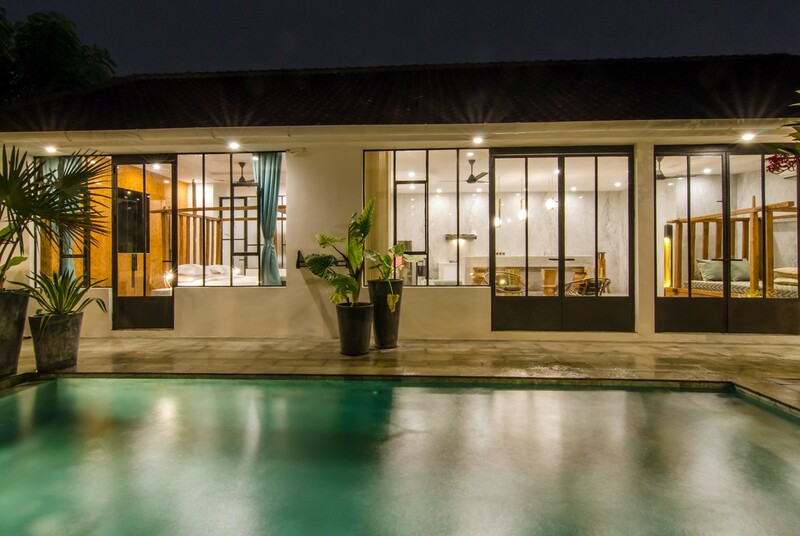 Located in Umalas, a very calm and beautiful area in the middle of the ricefields at 5 minutes to the living Seminyak, 7 minutes to Batu Belig Beach and 35 minutes from the airport, a great location to spend unforgettable time in Bali. 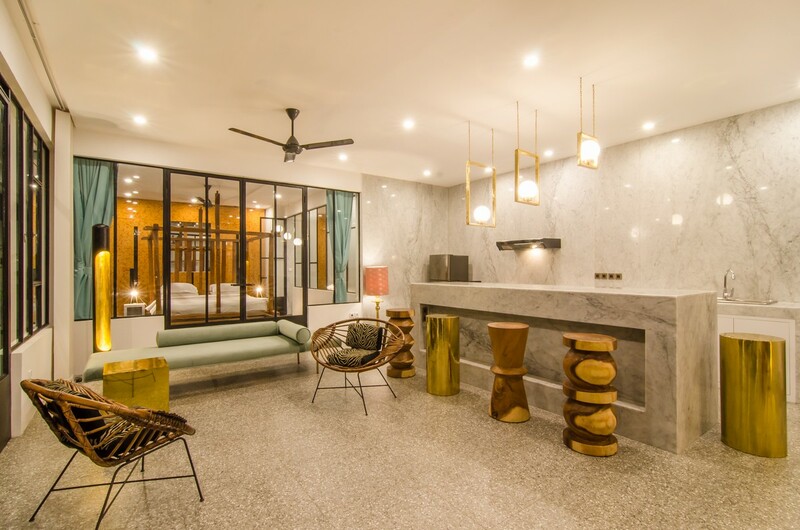 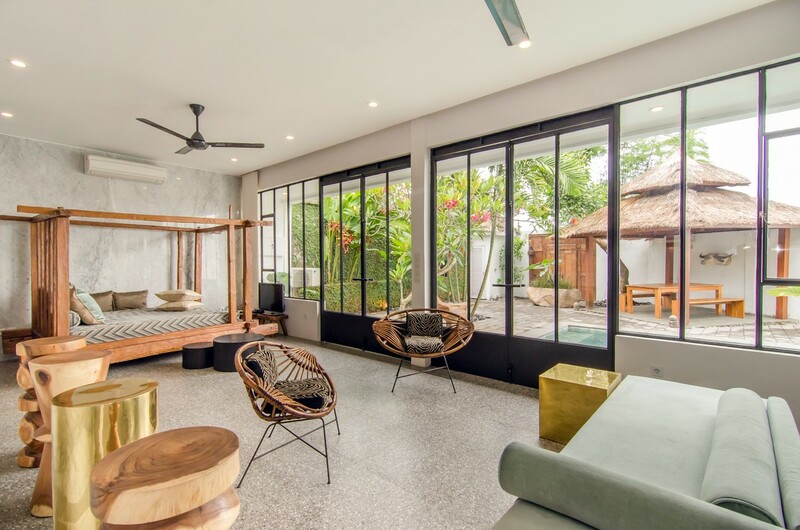 Villa Ruku-Ruku can host up to 2 or 3 people in a living space totally modern but it keeps always a traditionnal balinese soul with its wooden furnitures. 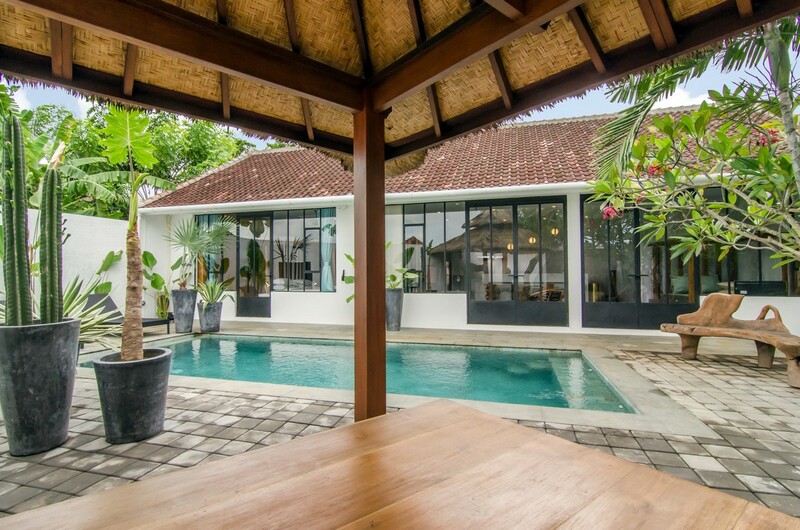 A majestic grannit bar becomes a fabric that covers the fully furnished kitchen with a direct view on the charming swimming pool and the pergola, where you can have a delicious breakfast in the shade. 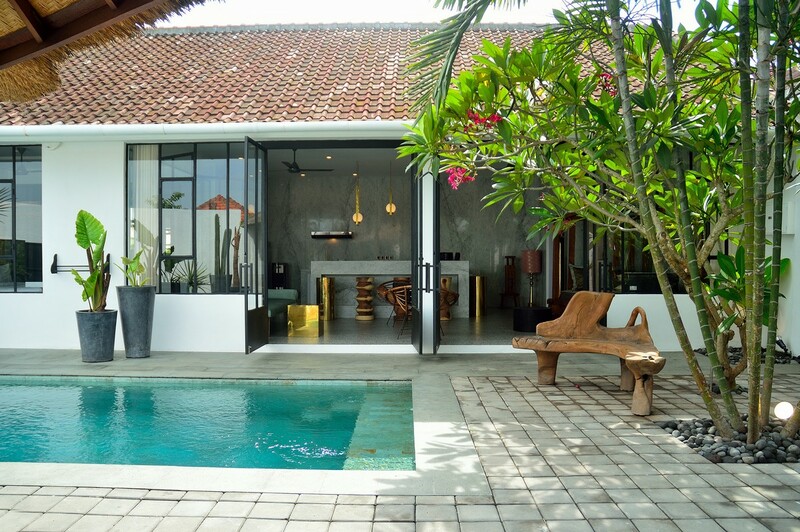 With the tropical warm you will enjoy the water cooler in the kitchen. 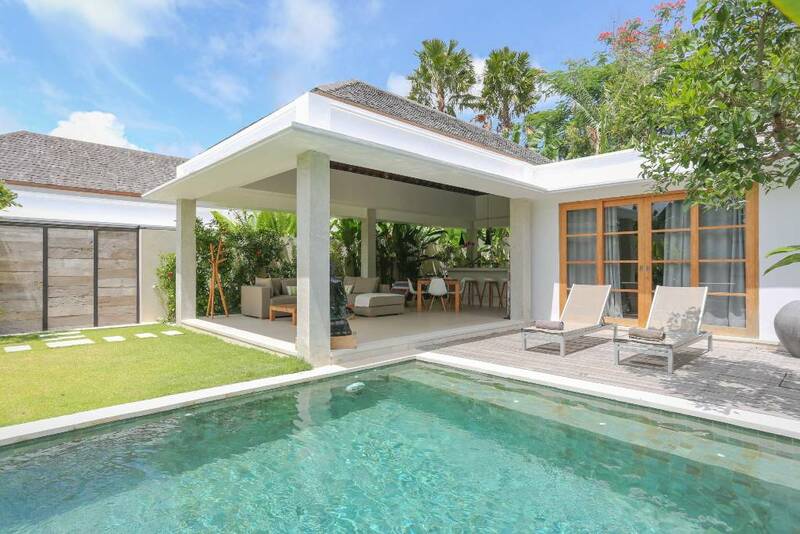 The villa benefits the air conditionned, a TV with satellite, a stereo system and a DVD player. 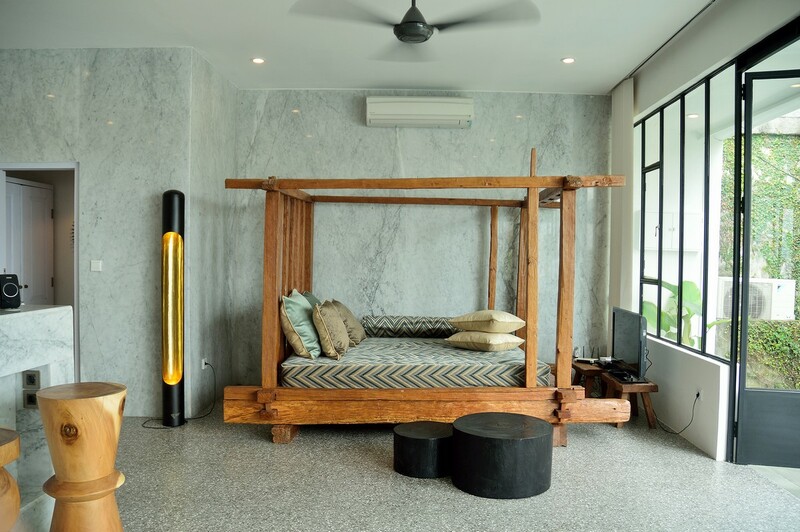 The WIFI is available in all the rooms. 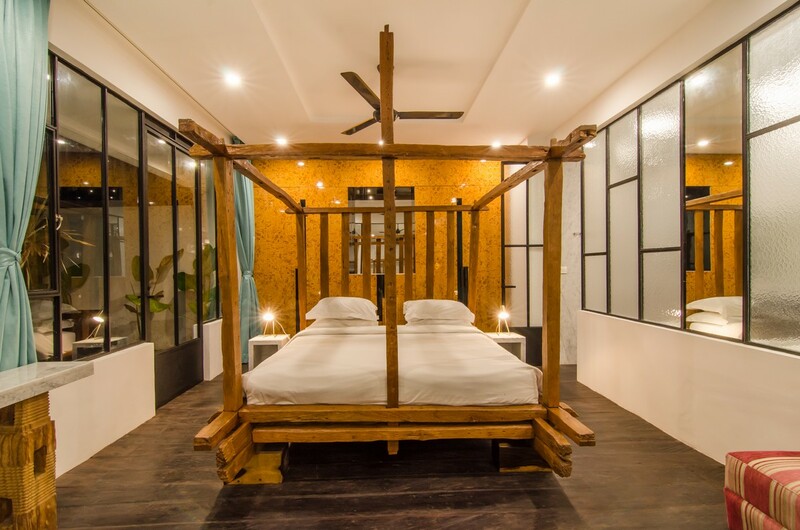 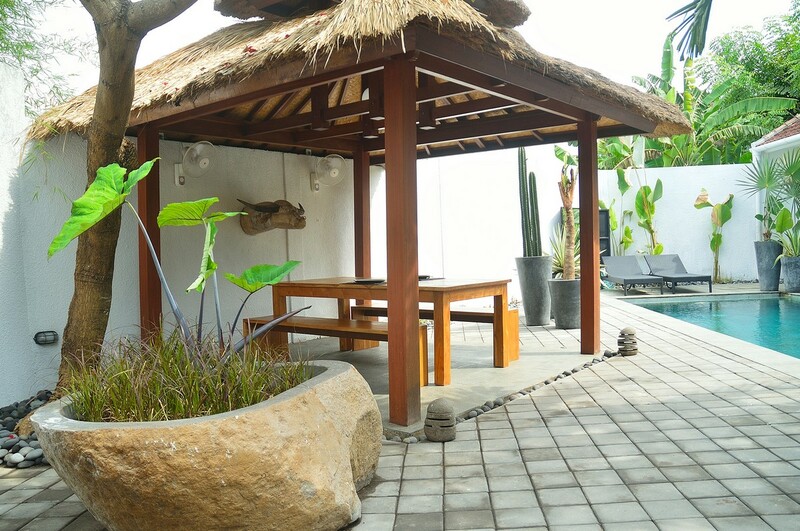 A location which breathe hapiness and life to have the best conditions for your balinese stay. 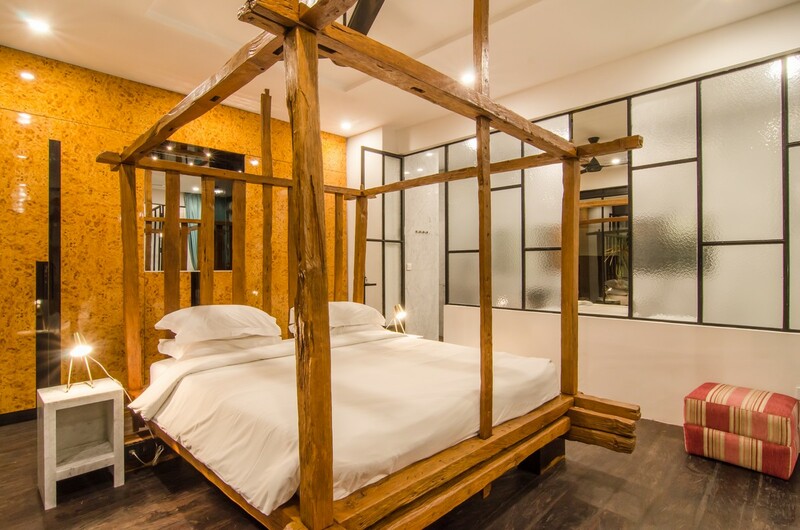 The bedroom with a queen bed dress with an amazing wood structure, is in the middle, a wonderful furniture which gives a unique design to this room. 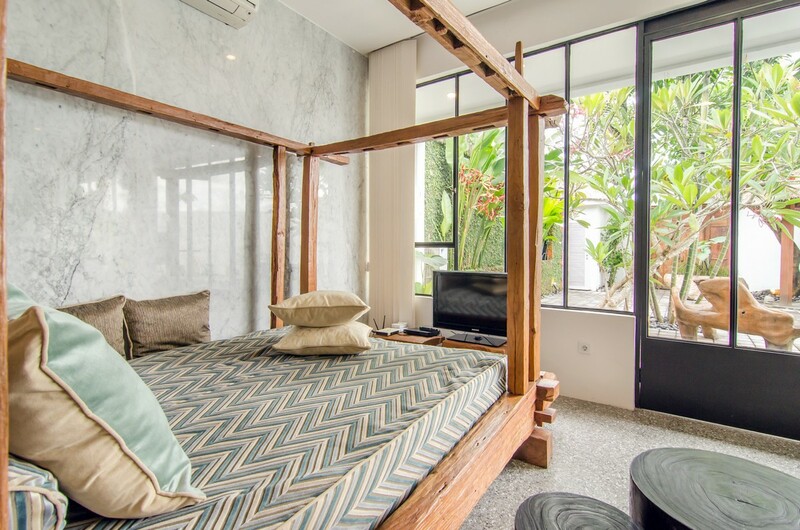 An extra simple bed is placed on the living room with a guest bathroom also. 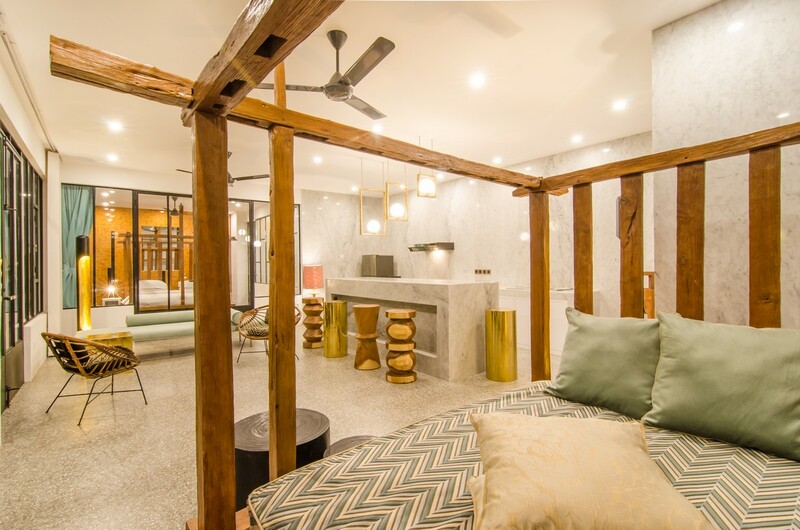 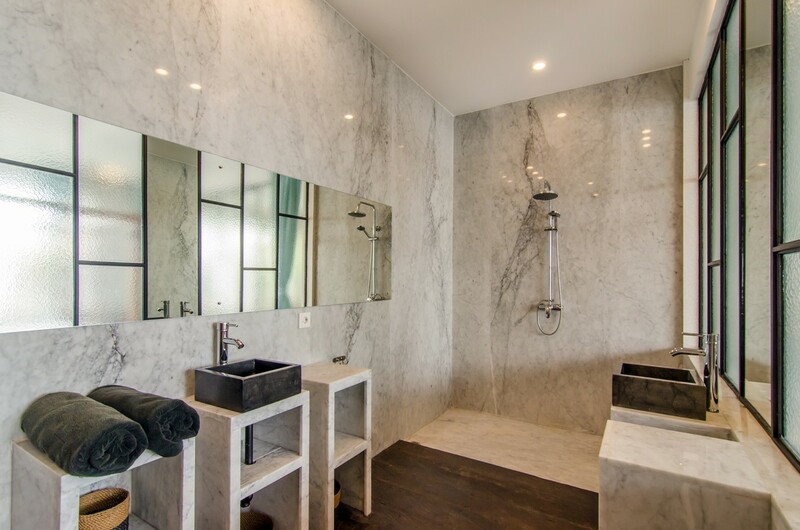 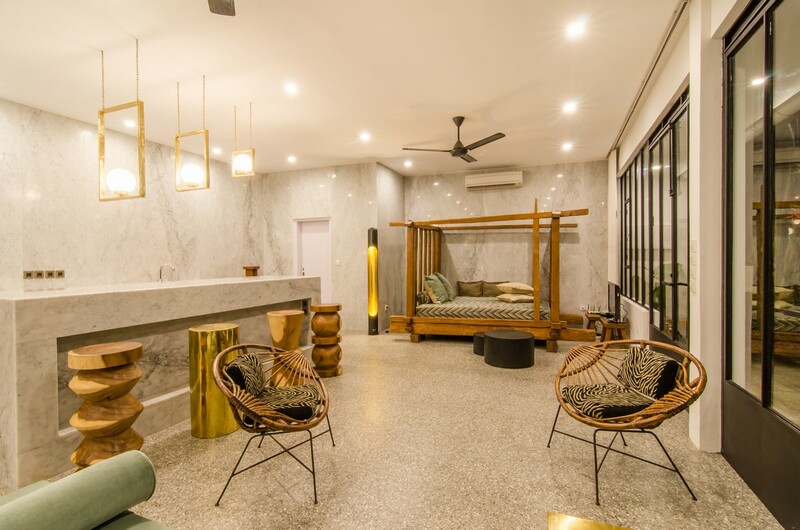 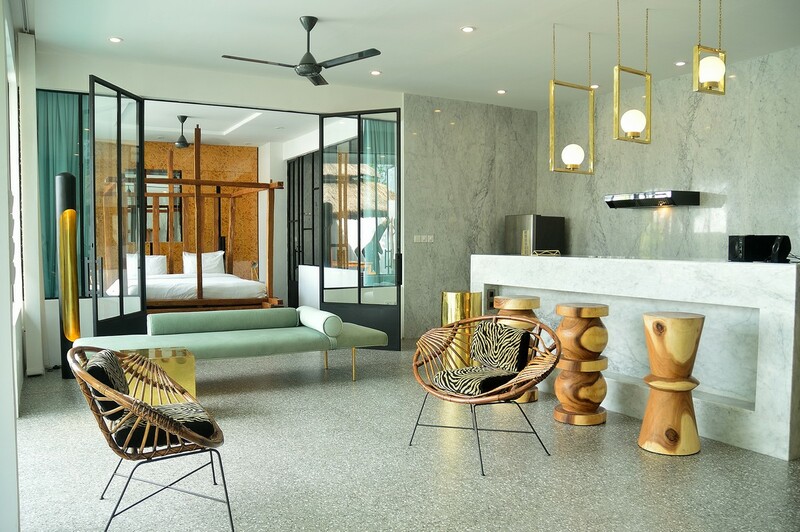 A large bathroom is situated inside the master room, all in marble, you will love the Italian shower to relax yourself after a great balinese day. 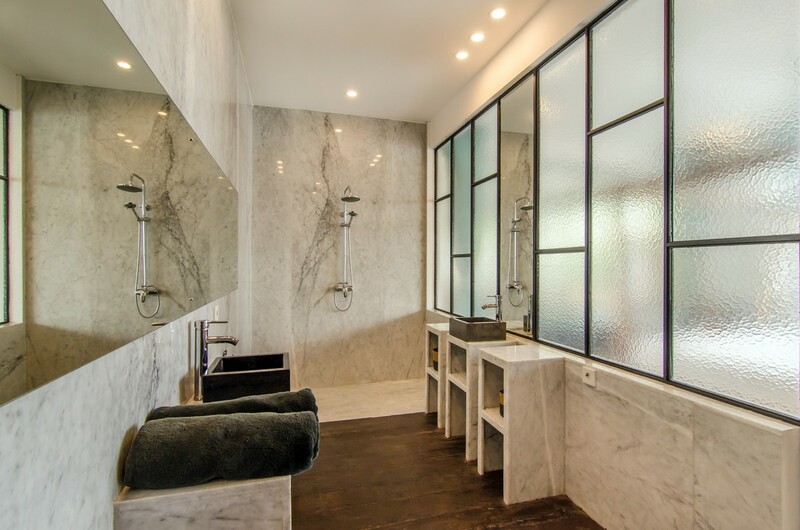 The linen towels is at your disposal and a first aid kit is available in case of emergency. 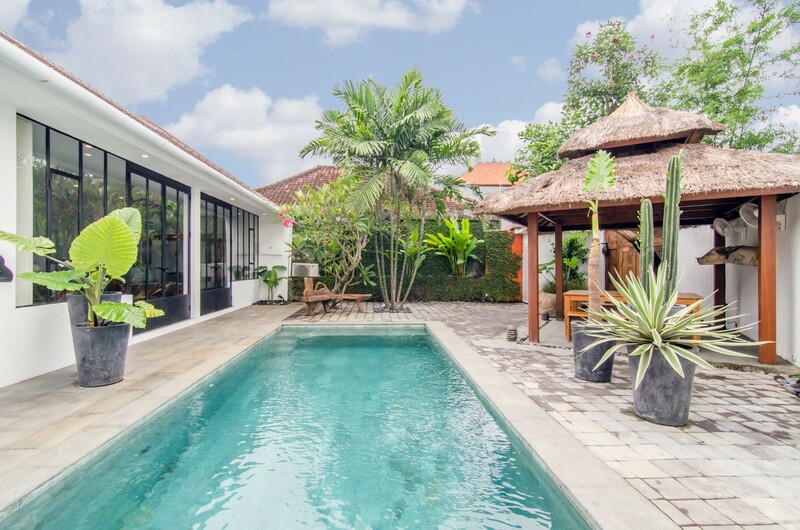 This villa is the perfect place to have tranquility, far away from the busy streets and with a direct view on the ricefields, it's a gold nugget. 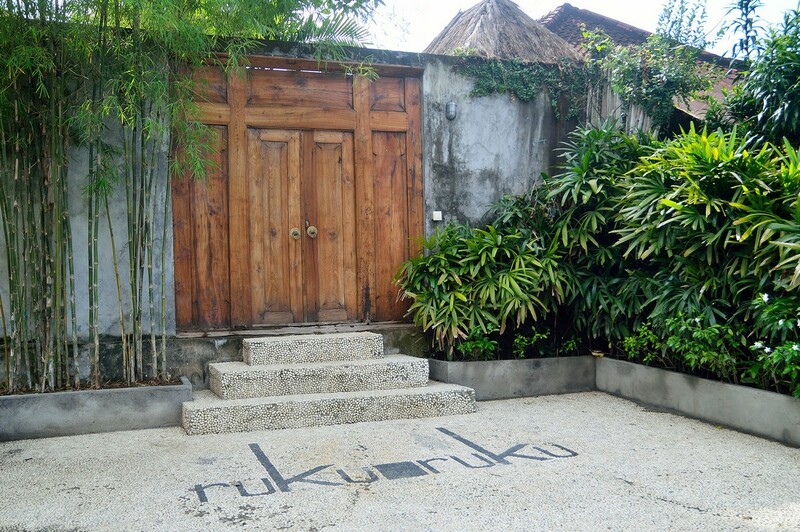 Villa Ruku-Ruku is also includes a daily maid service to make your stay easier, to enjoy your balinese life. 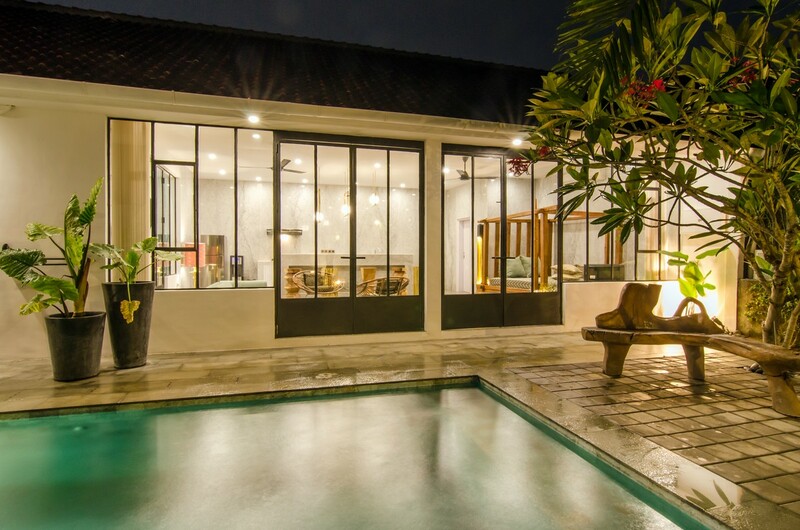 You can have for you a private chef to cook your favorite meals or have relaxing time with balinese massages, these two services are on request and with extra charges. 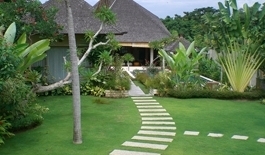 You have acess also to the private car park. 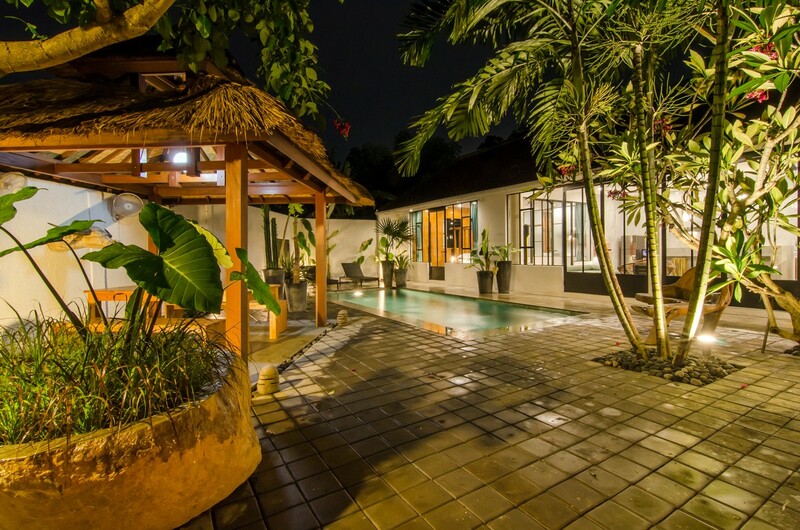 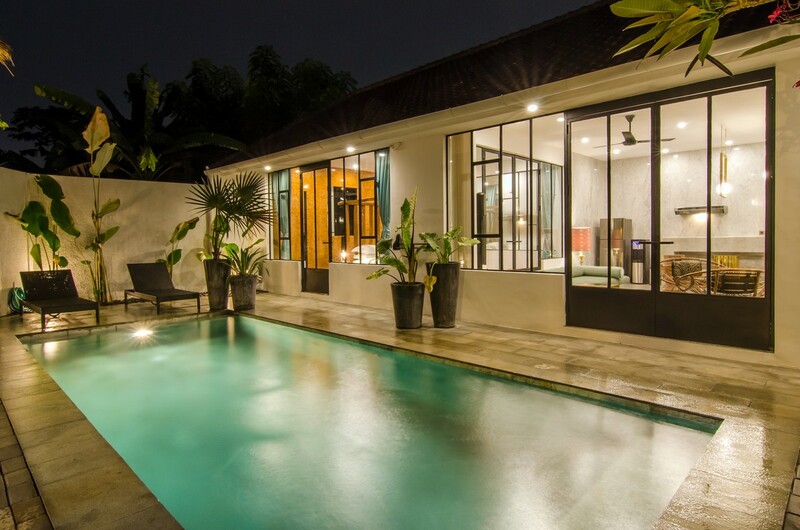 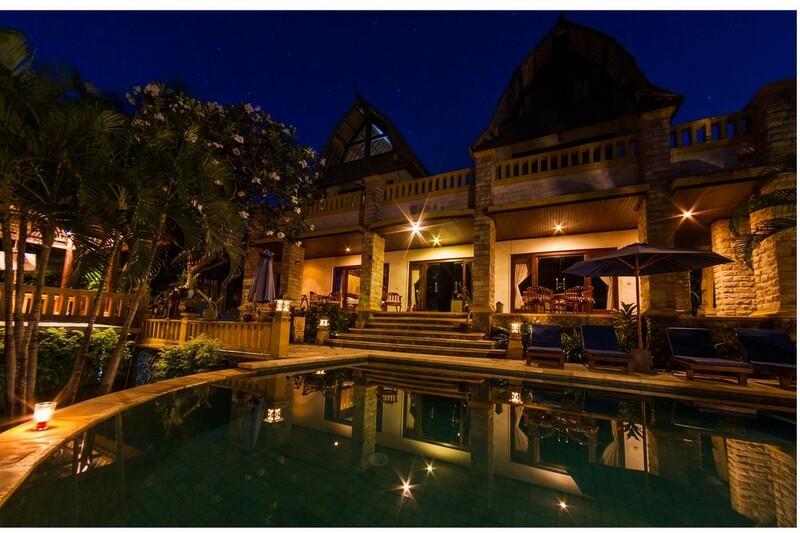 Bali Je T'aime is very proud to present you this lovely villa, you will fall in love with directly from outside. 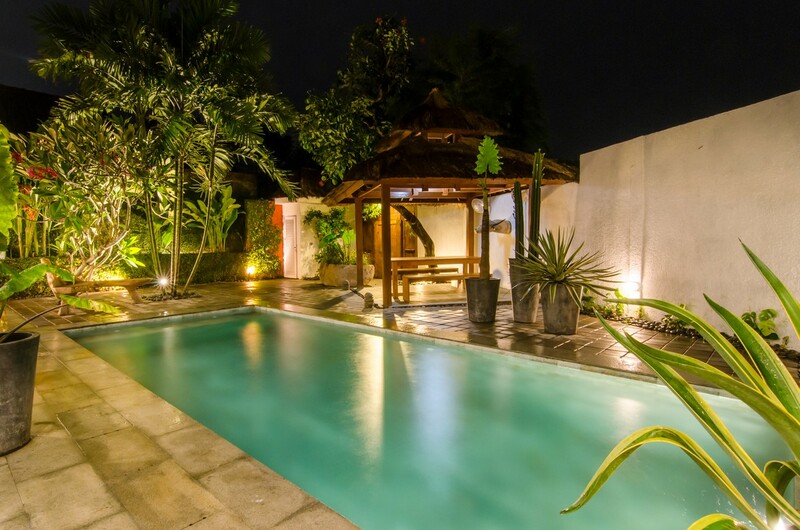 We will be very happy to see you in Bali !